Spain There are 5 products. 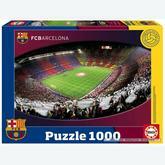 A 1000 pieces jigsaw puzzle made by Educa (reference 15477). 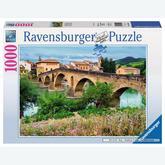 A 1000 pieces jigsaw puzzle made by Ravensburger (reference 194254). Size: 70 x 50 cm (= 27.6 x 19.7 inch). In stock and ready to ship out. 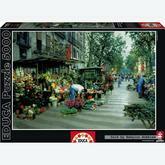 A 5000 pieces jigsaw puzzle made by Educa (reference 16023). Size: 157 x 107 cm (= 61.8 x 42.1 inch). A 1000 pieces jigsaw puzzle made by Educa (reference 16300). Size: 68 x 48 cm (= 26.8 x 18.9 inch). Special series: FC Barcelona. 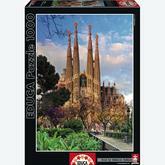 A 1000 pieces jigsaw puzzle made by Educa (reference 15986). Size: 68 x 48 cm (= 26.8 x 18.9 inch).